How much does glass repair cost? 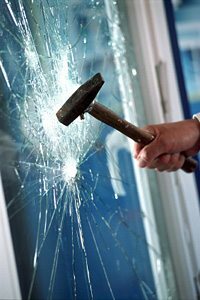 You’d be surprised to know that cheap glass repair is possible, and accessible to all! 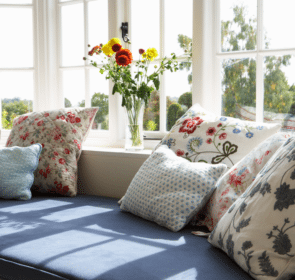 Generally, to have someone come out and repair a window, you will spend anywhere between £50 and £200, including installation costs. Without taking into account other replacement parts you may need, the price of which can greatly vary, the cost of all of these materials plus the time it takes to learn how to repair glass may be too costly when compared to hiring a professional. Home improvement projects are supposed to be fun, fulfilling and satisfying! Repairing glass yourself can be all of these things but also has a high potential for hazard, shoddy workmanship that subsequently needs repair. This is a complex task that is best done by local professionals. Compare their quotes by taking a minute and filling out our quick online form. Not only will you save the hassle, but our customers have saved up to 40% on the price of their home improvement thanks to us! How do you repair a window? 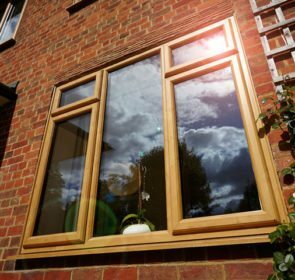 However if you are absolutely sure that you want to repair your own window, here are some ways you can do it! Make sure to research the job as much as possible before doing anything, since working with glass can be extremely dangerous without the right precautions and preparation. Glass repair for windows can be done by non-professionals with the right tools and preparation. This is a much easier task for smaller panes of glass than for bigger ones, which will probably require a professional’s expertise to be replaced. Here are some basic steps that could guide you on your way, though we recommend that for a DIY job like this you do lots of research and preparation before embarking on it. How can you do glass repair right? These jobs can be complicated to do if you haven’t done many home improvement projects before – and even for the more advanced amateur home DIYers, replacing windows is a difficult task best left to professionals. Having a leaky or drafty window can make your life extremely uncomfortable, and windows are expensive to replace. If a job like this is done poorly, you will end up hiring a professional so don’t waste money on a failed DIY attempt if you don’t feel confident doing these things yourself. Take great care if embarking on this task yourself. Glass repair isn’t a foolproof job, and if this doesn’t work, you may still need to replace your window glass. 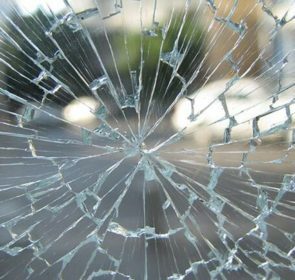 How does glass repair work? The way you repair your glass depends on the type of glass you have, what style of frame it sits in, how it is damaged and the framing material. If there is simply a crack, you can fill this with adhesive so it is almost good as new. If, however, part of the glass is shattered, it will probably need replacing entirely. Choosing an expert is a good choice in this case, since they have the expertise and safety requirements, saving you the hassle and the research involved. An expert will also be able to replace your old, worn glass with new glass which will improve your home’s comfort, due to better energy efficiency and noise pollution control. 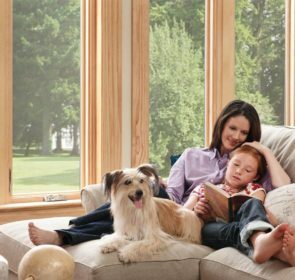 You may even be able to have your glass tinted to shield your home from sun-related issues. How do you find glass repairs near you? It’s a good idea to get a friend’s opinion on any home improvement specialist you’re looking for. They might know a trusted local tradesman who did a good job for them previously. It can be hard to tell from the outside if a provider will do a job well, so ask a friend if they know someone. Make sure to compare as many quotes as you can, this is key to getting a fair price for your glass repair. This will ensure you don’t go for the super cheap “cowboy” tradesman, or the one who could rip you off with artificially high prices. Consider the quotes you have gathered with a careful and calm eye, to avoid feeling pressured. This can be difficult when you urgently need a repair but do the best you can to take your time. This will help you to ensure a decision made with rationality rather than sentiment. Talk to anyone and everyone about your glass repair needs. Find out what other people’s experiences have been so you can smell anything fishy a mile off. Know what to expect from your tradesperson, and what the job will entail. Compare quotes quickly & easily! Gathering multiple quotes from trusted local providers can be a time-consuming and headache-inducing process of filling out many forms and answering the same questions over and over. You will avoid this by taking a minute to fill out our secure e-form, and you’ll get glass repair quotes in your inbox within 2 working days! Up to 4 local professionals will give you obligation-free quotes so you can decide in your own time what to do with them.